Like the look of the classic bead crochet ropes, but having problems with regular bead crochet? Come learn a variation of bead crochet that resembles the spiral stitch, but is easier than traditional bead crochet. 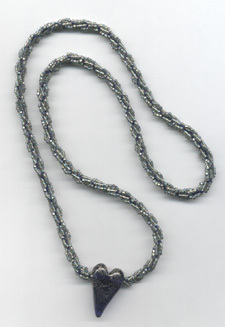 This class is a technique class and you can use the resulting rope to make a bracelet, necklace or lariat. These ropes will become the backbone for many of your jewelry projects. You will see several different options for finishing your piece.